TWO journalists were responsible for placing on record Wodonga’s history from 1885 to 1965. They were James Ryan, who established The Wodonga and Towong Sentinel, and his son Charles who became its owner/editor on his father’s death. Initially it was owned by James Ryan and William Oldfield Taylor at Conness Street, Chiltern, where they established a printing business. It was a time before radio or electricity, telephony was in its infancy as a daily means of communication and transport was by train, horse and horse-drawn vehicles. The `tyranny of distance’ caused them to expand their business to Wodonga and Charles Ryan opened an office in Sydney Street (now High Street), while Taylor stayed at the printing works in Chiltern. 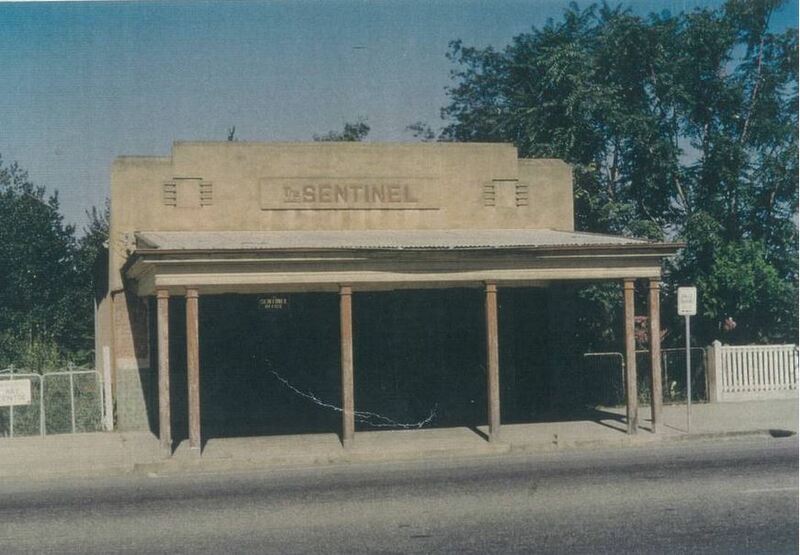 The Wodonga and Towong Sentinel became a weekly newspaper printed and published until 1965. James was killed by a train at Wodonga Station on July 28, 1912. He was 52 years of age. He had dispatched a parcel of hand-set type to a contemporary in Tallangatta and was walking back to his office when he was hit by an express train. His son, Charles, a reporter at the Melbourne Age took over the business and became the Sentienel’s editor (he employed Ernie May, Wodonga’s bandmaster, to do the printing). In 1965, due to deteriorating health, Charles sold the paper to the Border Morning Mail. He died soon after. Both James and Charles were closely involved with the people of Wodonga and district and their councils, churches, organisations, buriness and sporting activities as members of the press. They encouraged correspondents in outlying villages to submit items for publication. Without James and Charles Ryan much of our history of those years would have been lost. The society has printed a number of books containing extracts from the Wodonga and Towong Sentinel. These books can be purchased from the society’s rented premises and museum at 19 South Street, Wodonga.